life insurance Archives - Yetter Insurance Agency, Inc. Normally life insurance isn’t an enjoyable topic to discuss. It can seem unnecessary, complicated, or even uncomfortable. 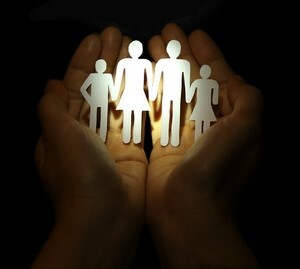 But to ensure the financial security of your loved ones in the event of a tragedy, life insurance should not be avoided. With the new year, you can make an impactful and beneficial resolution to purchase life insurance. There is no better feeling than knowing that your loved ones will be taken care of. Thankfully, it is not too hard to begin exploring your options and determining how much coverage your family would need. According to the insurance industry group LIMRA, 86% say they haven’t bought insurance because it’s too expensive, but they overestimate the cost by more than double. This is unfortunate because anyone with financially dependent family members should have life insurance. It is important to strive for an individual life insurance policy, independent of your job. These policies often don’t meet the needs of families. They are also dependent on working for that employer. In a survey by LIMRA, most consumers said they were not financially prepared for the death of a family member. The question now is how to ensure the financial well-being of your family? Firstly, you need to consider whether term life insurance or permanent life insurance is appropriate. If you were to die during the term, your dependents would be paid the agreed upon benefit. Consider term insurance if you wish to safeguard your family only for a certain amount of time. This is useful if you wish to cover your children until they come of age, or if you have large expenses that will end on a certain date like a mortgage. This type of life insurance is generally more affordable. Permanent life insurance comes in two different forms – universal life insurance and whole life insurance. Permanent life insurance provides lifelong protection. Many of these plans also accumulate cash value. Because you will pay for it throughout your life, it is considerably more costly. But, it can be worth it if you are worried about your spouse or dependent who has permanent special needs. Permanent life insurance can help ease the anxiety about the long-term care of these loved ones. Determining the type of life insurance that you need depends on your unique circumstances and financial goals. A combination of term and permanent life insurance is often the right combination. It is important to meet with an insurance professional that can assess your needs and understand your goals. Generally, you should calculate the total of all financial obligations. From that, subtract liquid assets to find out how much coverage you should obtain. When considering your obligations, add up your annual salary, multiplied by the number of years you wish to replace that income. Additionally, consider the cost of a funeral, potential medical bills, all debts, the education of your children, and the replacement for any household services you may provide. Liquid assets are any savings, college funds, or existing life insurance policies that you may have. Of course, when evaluating your life insurance needs, a holistic perspective towards your family’s present and future financial status must be utilized. Keep an honest and open dialogue with your family. Discuss with your children about their expectations for higher education, like whether they intend to pursue it, or what kind of college they’d attend. Talk with your partner about what kind of coverage they would like to have. They may predict a significant change in their income. In the end, it is best to be safe and overinsure your family. That cushion can give them flexibility and more options. Although it may be a hard topic for you to think about, the first step toward getting life insurance is as easy as calling a Yetter Insurance agent. We’ll help you select a plan that is right for you and your family. Buying life insurance for the first time can be a daunting experience, but knowing why, when and how to buy life insurance can make the whole experience a lot easier. Before you contact your insurance agent, check out these nine simple tips on how to make the whole process less complicated. Why are you buying life insurance? The main reason that people buy life insurance is to provide financial security for their children or spouse. The benefits of your life insurance payout can be used to pay for funeral costs, the remaining balance of a mortgage or college tuition, or just to replace the income that you provide for your dependents. When should you buy life insurance? Life insurance is less expensive the younger you are when you buy it. While your needs may change as you age (additional beneficiaries, increased expenses, and so on) you can always add another policy. Some life insurance policies also allow for conversions and upgrades when your needs change. Who are your beneficiaries? Your beneficiaries can be a person, a business, or a charity. Before buying a life insurance policy it is important to know who your beneficiaries are so that you can buy a plan that will meet their needs. How do you make sure your benefits go to whom they’re supposed to? By having a last will and testament you can make sure that your life insurance benefits are paid out to the proper beneficiaries. How much coverage do you need? A general rule of thumb is to buy coverage that is equal to eight years of your salary, but this is not set in stone. Everybody’s needs are different in this regard. It’s good advice to speak with a financial professional to get a better understanding as to what kind of coverage you need before speaking to an insurance agent. What type of policy is right for you? There are two main types of life insurance policies: -term life and permanent life. A term life policy is purchased for a specific period of time. If your term life period expires before you pass away then your benefits will not be paid out. Some term life policies can be converted to whole life policies before they expire, so it’s important to know whether or not your policy can be converted. The benefit of a term life policy is that they are generally much less expensive than whole life policies. A whole life policy provides lifelong protection, and some whole life policies even gain interest. A whole life policy is more expensive than a term life policy because it often accumulates cash value and is designed for a longer period of time. How much coverage should you buy? 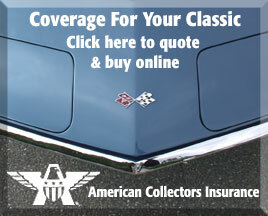 Two things to consider in regards to how much coverage you should buy are what you need and what you can afford. You don’t want to buy life insurance that you can’t afford. Find out what coverage you need, and then discuss with your insurance agent to find the best way to cover your needs within your budget. Should you buy your policy through the insurance company or an independent agent? You should buy your life insurance policy through an independent agent. An insurance company can only sell you what they offer, but an independent agent can shop multiple insurance companies to find you a policy that best fits your needs. How should you choose your insurance company? It is important to choose a quality provider. This is another benefit of using an independent agent to find your policy for you. An independent insurance agency will know which companies have the best rating and will still be around to pay out your benefits. Many of the top rated insurers have liability to pay out to their customers even if the company itself goes under. You can also check out a qualified rating service like A.M. Best Rating Services, which rates insurance companies for consumers. Talk to a Yetter insurance agent for more information about obtaining a new life insurance policy. We’ll help you choose the right plan that fits your needs. Contact Yetter Insurance today at our Milford office. Visit www.yetterins.com or call 570-296-8329. Buying life insurance is a difficult decision, and no one wants to think about their eventual passing, but what is one to do if they outlive their term life insurance policy? If you are approaching the expiration of your term life policy, you can convert it to a permanent policy, such as a whole life or universal life policy. The premium may be higher, but the protection of a permanent policy is valuable and you may be able to skip some of the medical exams. You can buy a new term life policy. This will not include the previous policy, and thus you’ll be starting over from scratch, but this option will offer you a lower monthly premium than converting your previous policy. That said, it may be that your needs are not the same as when you first bought your policy, which can affect the price of your premiums. If your needs are not the same as when you bought your initial policy it might also be beneficial to buy a new whole life or universal life policy. The premiums will still be higher than buying a new term life policy for the same coverage, but this will be guaranteed to last and grow for your entire lifetime. For some, the best option may be to buy a new whole life or universal plan that upgrades their previous plan. Many choose term life policies for financial reasons, and years later the same individual may be able to afford a much better plan that will provide their loved ones with more than just security. For those who have done well financially, buying (or upgrading to) a better policy that is guaranteed to last a lifetime could be the best choice. When buying life insurance it all comes down to what you can afford, and what you need. Some are just looking to cover their funeral and pay their debts, others may want to send their children or grandchildren to college or leave their spouse enough money to live comfortably once they are gone. It is up to you to decide what kind of policy is best for you and your family. For more information about obtaining a new life insurance plan or upgrading an existing one, talk to your Yetter Insurance Agent. We’ll help you choose the right plan that fits your needs. Contact Yetter Insurance today at our Milford office. Visit www.yetterins.com or call 570-296-8329.